Price includes everything except international trophy shipment cost (around $500). Maral Stag hunt at TUV province Lun & Undurshireet town area, 3 hours drive from Ulaanbaatar city, rolling hills with few bushes, altitude 3000 feet, hunts August 20th – October 1st, every year, usually 6×6 bulls with heavy antlers, drive with SUV to glass and find preferred bull, stalk on foot to shoot at 300 yards, 3 day hunt, camp will be Mongolian Ger with stove, bed, nicely decorated, food will be basic as beef, chicken, lamb, pork with various vegetables, bottled water, guide, interpreter, helper, cook, driver with hunting SUV. Maral Stag lives in the same area as Hangai argali, and can be combined with argali hunts. Gazelle trophy fee is $1,500 and can be hunted at same area as Gobi & Hangay argali hunts. Wolf can be shot when encountered, trophy fee $500. 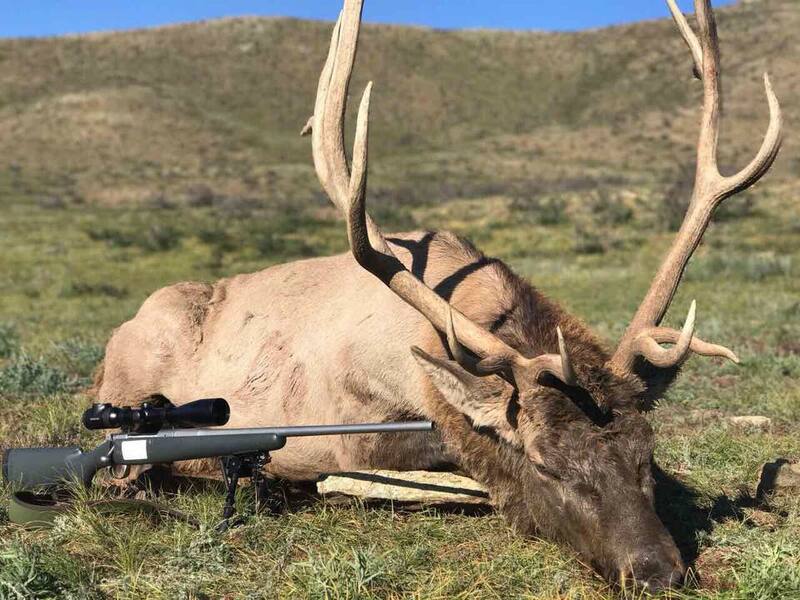 Clients need to bring their own hunting rifles, maximum of 30 rounds of ammunition per rifle, firearm import permit will be obtained and sent copy to clients 2 weeks prior to arrival, warm sleeping bag, binoculars, rangefinder, spotting scope, and personal gear.